The fight against the Ebola virus in Sierra Leone is everyone’s fight. 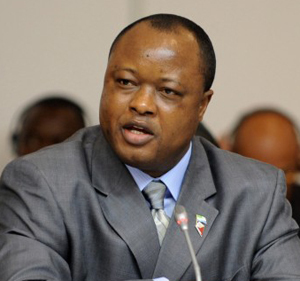 And when news broke several months ago of the deadly virus, found in neighbouring Guinea, Sierra Leone’s vice president Sumana was hard at work trying to help mobilise the country. And as Chairman of the National Platform for Disaster Management, he actively convened meetings with stakeholders to formulate a plan of action, which could have helped prevented Sierra Leone succumbing to the deadly virus from Guinea. But alas, alas, president Koroma could not resist once again, the temptation of standing on his vice president’s shadow, as Sam Sumana continues to struggle to make a positive impact on the office of vice presidency, since his appointment in 2007. Even as Ebola was knocking on the nation’s door, Koroma saw it fit to steal Sam Sumana’s thunder, lest the vice president could emerge popular, should he succeed in mobilising the country against Ebola. What a shame. It seems the marginalisation of the vice president, effectively forcing him into involuntary redundancy is nothing new, no matter how crude it looks. A few years ago, the ministry of health was under the direct supervision of the vice president, who was charged with ensuring that the poorly managed ministry was effectively monitored on a daily basis. And what happened? Just as the vice president was beginning to find his feet under the table, president Koroma took away the legs of the table from underneath the vice president, only to transfer responsibility for the health ministry to State House. And what a fine mess that decision has created for the country. Management of the health ministry has gone from bad to worse, as corruption and maladministration continues to blight the delivery of precious health care in the country. The president must learn to delegate, though many would say that it is all too late, and that one cannot wake someone up if they are not asleep in the first place. Yes, everyone knows that the relationship between the president and his vice had reached rock bottom. Others have described it as ‘irretrievably broken down’. But, like all responsible couple in a relationship, they should be able to keep up public appearances and continue to work together effectively for the good of their children – the people of Sierra Leone. As far as the people of Sierra Leone are concerned, both men do not have to love each other, just as long as they are delivering services that are having positive impact upon the lives of people and communities. But not to deliver, and yet putting up this shambolic public show, is nothing short of a travesty against those who unfortunately elected them into office. And if ever there was a greater time to show publicly that they are working together, though they may be throwing dirty dishes at each other behind closed doors at State House, it is now – the nation is at war against a common enemy – the deadly Ebola. It also understood that the vice president has been stripped of all key functions and responsibilities that come with the post, except when president Koroma is out of the country – at which time Sam is constitutionally expected to deputise. But even when he is asked to deputise in the absence of the president, on those occasions one cannot envy the vice president. He is very often left with the responsibility of making very difficult political decisions, which the president himself cannot stomach for fear of being blamed. One such example was the banning of the opposition SLPP radio station. 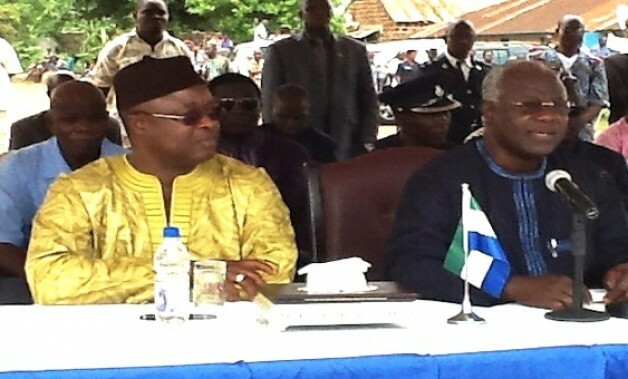 At the height of the political violence that erupted between supporters of the ruling APC and opposition SLPP in Freetown in 2009, Koroma conveniently left the shores of Sierra Leone on a state visit abroad. Vice president Sumana was left carrying the hot potato. He was left to make the political and illegal decision of banning the SLPP radio station, for which he will always be remembered. And there are several such instances of dereliction of duty for convenience, on the part of the president. But despite doing the dirty work, it seems the vice president receives no accolade from his boss. Instead, he is continuously being marginalised. Why? After all, is the $250,000 or more, believed to have been contributed to the APC election campaign fund of 2007 by Sam Sumana no longer of value to the ruling party? Is that why he is increasingly being marginalised, or is there something else at play? Perhaps both Charles Margai and Sam Sumana should compare notes on their experiences at the hands of the ruling APC party, just in case next time they are tempted to stake their last dime on an enterprise laced with so much ingratitude. Yes, president Koroma must go to the South-east of the country – the epicentre of Ebola to see firsthand what is going on and how the people – his subjects, are coping with the disease and the stigma. He must do so first and foremost to show that he is a good Christian and a humanitarian. But above all, as president of all of Sierra Leone, he must go to Kailahun and Kenema, as well as towns in the north of the country that are also now suspected of Ebola cases. Those in the president’s camp that are recklessly and callously dissuading the president from making such visits, are obviously paid to tell the president what he wants to hear. But patriotic citizens who are telling it like it is are calling upon president Koroma to make that trip. The former chairman of the opposition SLPP – John Benjamin, last week demonstrated remarkable selflessness and leadership, when along with other senior members of the party, went to visit the Ebola epicentre to see firsthand – how the battle against Ebola is being fought. 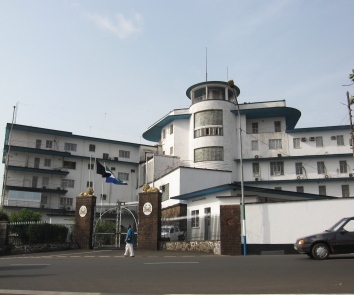 A commander of his troops cannot sit in his ivory tower – State House, and expected to win a war against the enemy. The president must therefore go to the frontline to see how the battles are being fought and won or lost; then and only then can he speak with authority, about his government’s effort in combating Ebola. 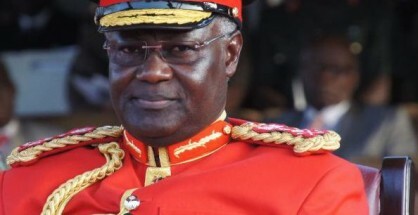 What happened to the highest honour Koroma received from the president of Benin for gallantry and leadership last week? The president must act now. Until then, there are those who would understandably continue to accuse president Koroma of cowardice and dereliction of duty to his people. And it would do no harm to the president’s ego, should he decide to take along vice president Sam Sumana on his visit to Ebola affected districts.